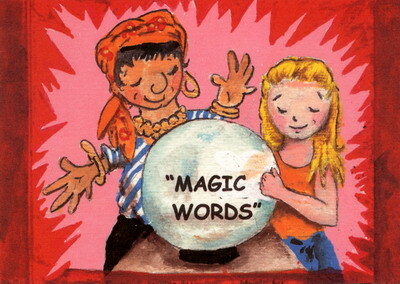 Magic Words is a musical fantasy for all ages about Pasha, a bumbling magician, who accidentally turns his daughter, Serena, into a doll. And if he cannot find the right magic words that will change her back into a little girl by six o'clock that night, she will remain a doll forever. So what are the magic words and where did he find them? Come see the show and find out! Featuring Deldrick Brown, Sabrina Callender-Clewett, Elizabeth Cruz, Melissa Cruz, Samantha Cruz, Elliot Kang, Julian Kang, Megan Moylan, Martina Povolo, Valentina Povolo, Scot Renfro, Robyn Rothstein and Camilla Vietina.